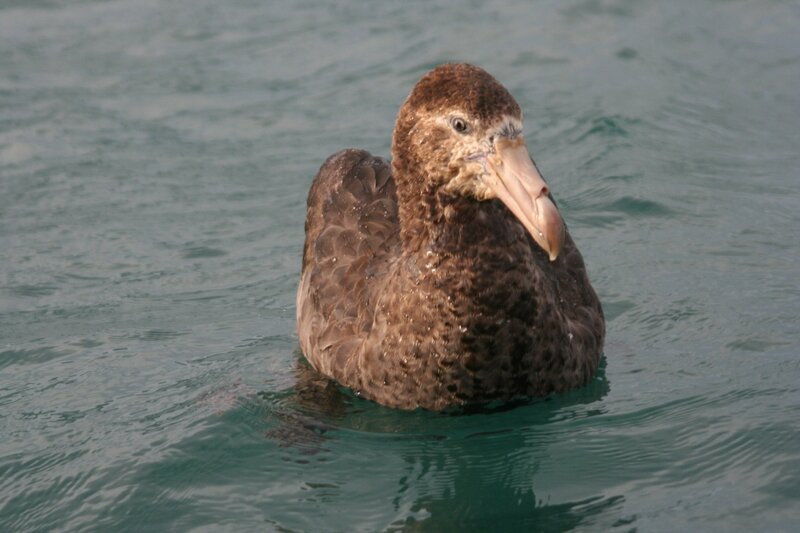 The giant petrels are aptly named, massive lumbering fulmarine petrels as large as small albatrosses that terrorise the Southern Ocean. 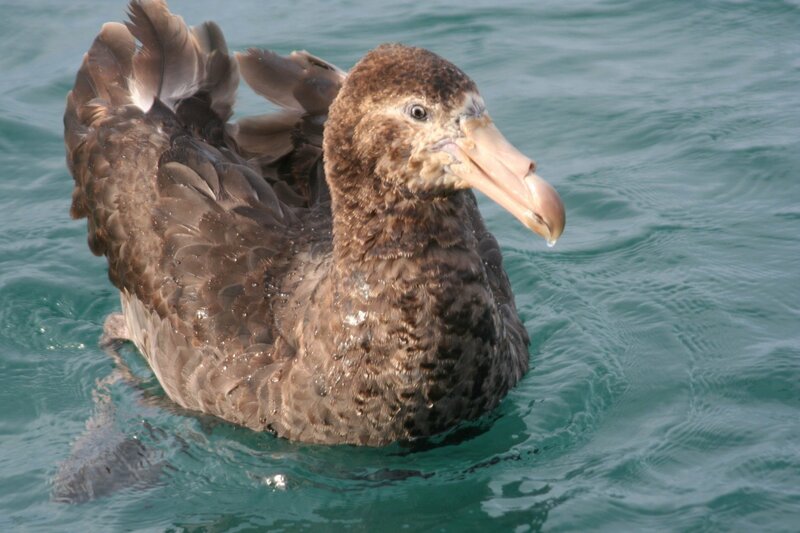 There are two species, rather conservatively named the Southern Giant Petrel and, the star of today’s show, the Northern Giant Petrel. 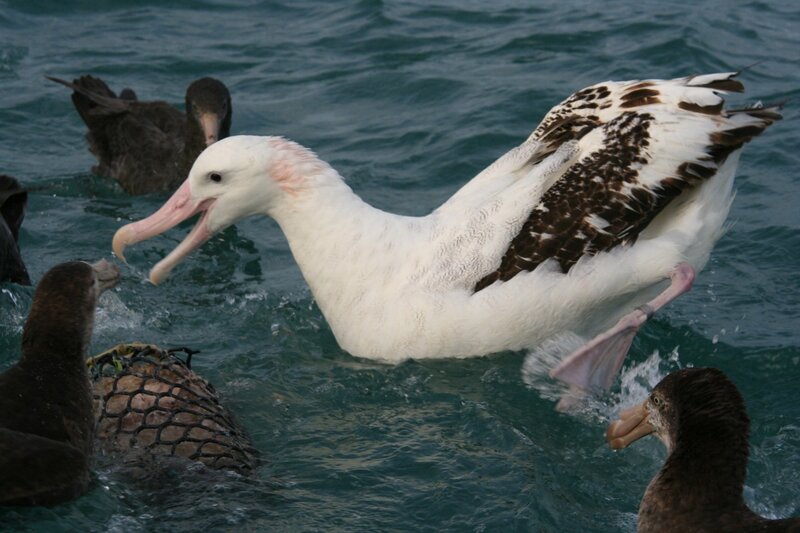 The giant petrels share more than just their size with the albatrosses. 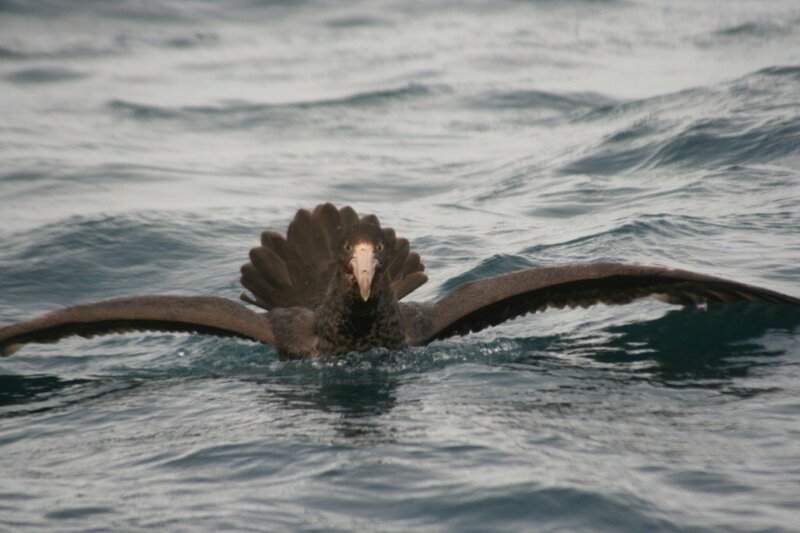 They have a shoulder lock, a wing adaptation that locks the wing in an outstretched position, allowing them to hold the wings out when gliding across the ocean without effort. 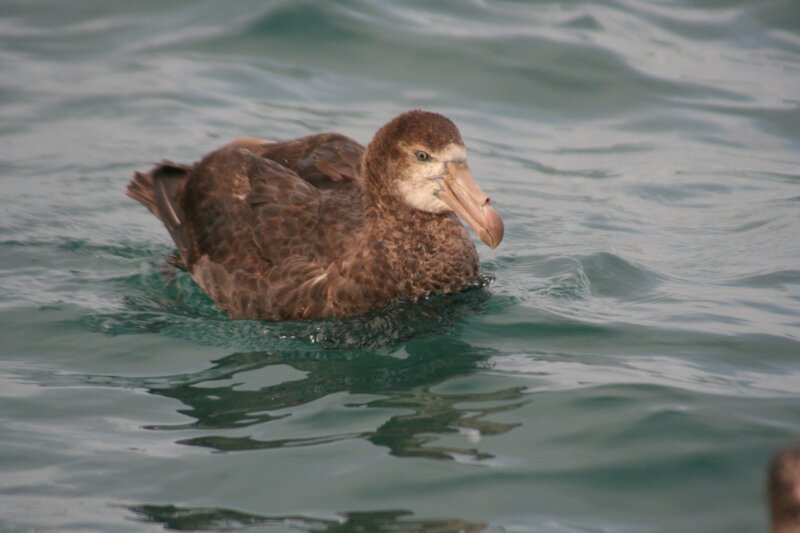 But they are no albatrosses, and are also the only members of the petrel order that feed on land, regularly feeding on carcasses on land. 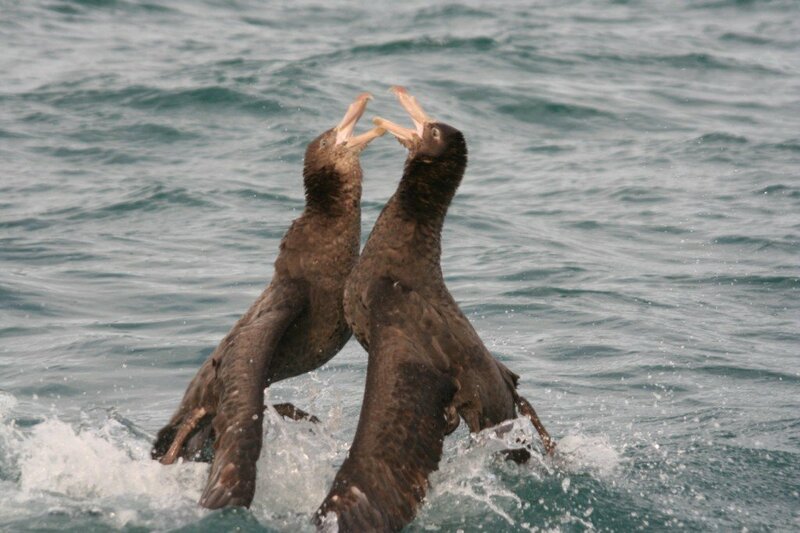 When dealing with competitors on the beach they adopt a wings out position known as the beachmaster, similar to what I saw these squabbling birds doing out at sea. 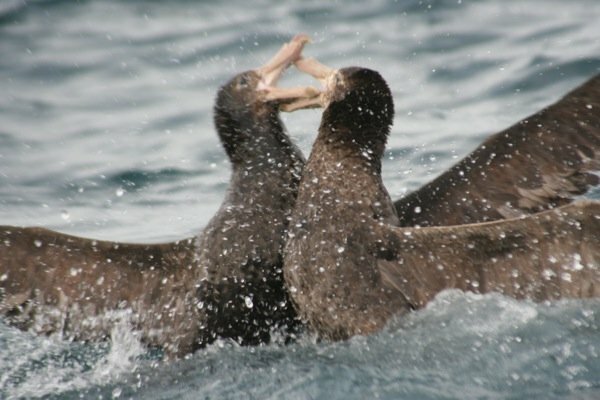 In fact the Norther Giant Petrels I saw at Kaikoura seemed very prone to fighting! 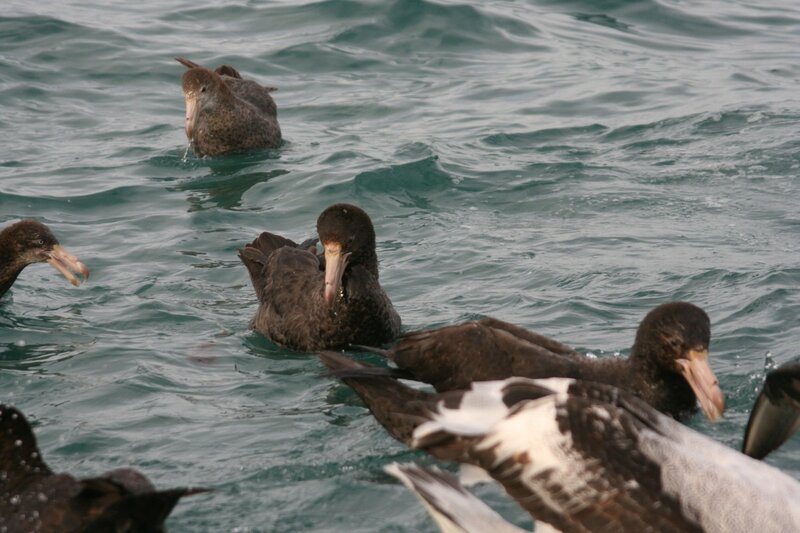 On land their diet is dominated bu birds, predominately penguins. 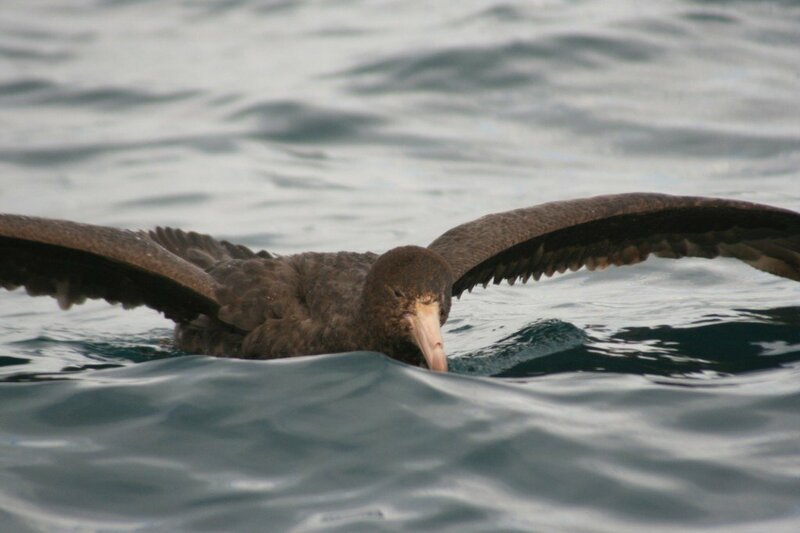 At sea Northern Giant Petrels are opportunists, taking food at the surface by seizing but are also able to dive, with krill making up much of their diet. 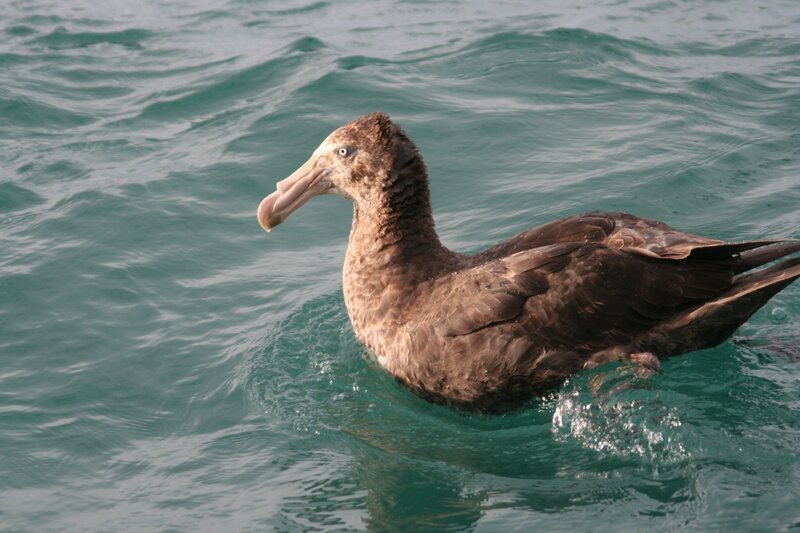 Although giant petrels are big, they aren’t as big as an Antipodean Albatross!